Generations of bikers across England know Pashley Cycles. Its wares were once the vehicle of choice for the country’s postal service. But with the launch of Arcade Bicycle Basin, David Hance, founder of Crosswater London, intends to make the two-wheeler integral to a more stationary pursuit: the ritual of daily ablutions. The process begins with an actual Princess bicycle, hand-crafted in steel at Pashley’s Stratford-upon-Avon factory. But instead of a leather seat, a wall-mounted walnut shelf supports Crosswater’s Arcade vitreous china basin and chromed-brass fittings. The wicker basket, however, remains—it’s ideal for storing hand towels—as does the bell. 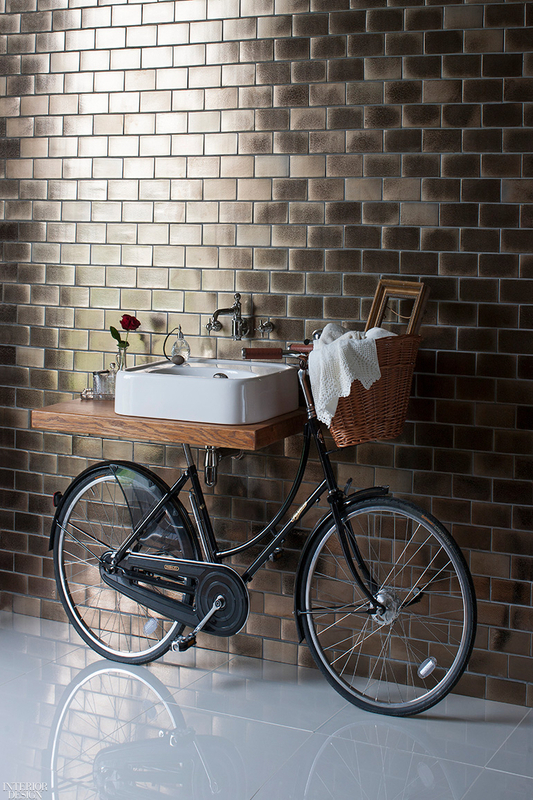 Arcade Bicycle Basin by Crosswater London.